The MF series of quarter-turn gearboxes provides a second-stage gear reduction for multi-turn actuator drives to meet torques and operating times required by the industry. Applications for buried service or remote drive can also be satisfied by utilising the input flange feature. 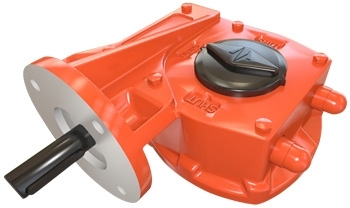 The cast iron construction and rugged design of the MF range of valve gearboxes has been engineered to meet the arduous requirements demanded of industrial environments. All models use high performance axial needle bearings which, combined with a one-piece worm-shaft, maximises the available mechanical advantage and overall unit efficiency.